The highly anticipated, latest models of Huawei's flagship P series handsets were finally released in Paris, France on March 27. According to DxOMark, a widely recognized camera benchmarking standard, the HUAWEI P20 and its more premium edition sister model (the P20 Pro) have easily topped the latest rankings. 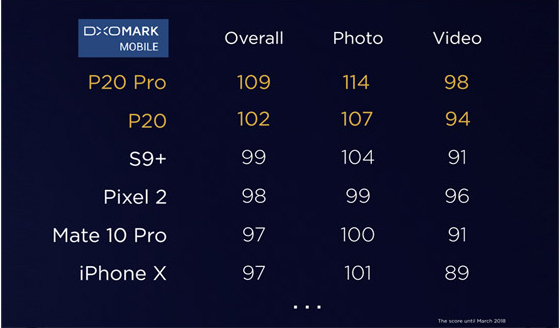 However, while the score discrepancy is usually marginal between different products, the P20 Pro blew away the competition with a 10-point lead over Samsung's Galaxy S9+. 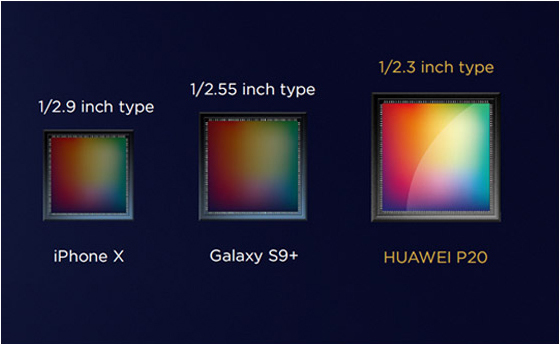 So how exactly has the P20 series achieved such remarkable results? As Huawei's newest rollout, the P20 Pro has broken with tradition to become the world's first smartphone that incorporates a three-lens camera system. This has not only opened a new door to the technological development of smartphone cameras, but has also enabled a next-level smartphone photograph experience for all. Now let's take a detailed look at the P20 revolution, with a particular interest in hardware breakthroughs and algorithm innovations. Compared with its similarly priced rivals in the current market, the biggest eye-catching allure of the HUAWEI P20 Pro is its tri-camera on the rear. Huawei has been collaborating with Leica, and has launched several devices with dual camera setup to produce amazing imaging capabilities that are well received by both critics and consumers. This time, the P20 series marks another year of cooperation between the two brands. The primary camera sensor is an exclusive custom built 40-megapixel RGB module with a powerful 1/1.7" light sensor and an aperture of f/1.8, able to reproduce rich image details and capture true colors. The monochrome sensor features Huawei's trademark black-and-white pixel count of 20 MP, and comes with f/1.6 aperture, bringing classic and timeless imaging effects. The third 8 MP, f/2.4 telephoto lens can achieve 3x optical zoom, 5x hybrid zoom, and 10x digital zoom, helping you get closer to the subject without compromising clarity.